In Europe, the most common tick-borne diseases are Lyme disease and tick-borne encephalitis. However, “in recent years the number of infections caused by pathogens from Bartonella, Babesia, Anaplasma, Brucella and other species has also been increasing,” writes Sowula. This study looked at not only the prevalence of otolaryngological symptoms in patients with Lyme disease, but in those with other tick-transmitted illnesses, as well. According to the authors, three fourths of the 216 patients diagnosed with a tick-borne disease experienced otolaryngological symptoms. “The most common complaint was tinnitus (76.5%) accompanied by vertigo and dizziness (53.7%), headache (39%), and unilateral sensorineural hearing loss (16.7%),” writes Sowula. The patients also reported symptoms of trigeminal neuralgia (a chronic pain condition affecting the trigeminal nerve in the face), hearing hypersensitivity, facial nerve paralysis, toothaches, tongue paresthesias, and smell hypersensitivity. Furthermore, the authors found that these patients were frequently infected with Bartonella. “The largest group included patients infected with bacteria of the Bartonella henselae (33.4%) and Bartonella quintana (13%) species,” Sowula states. 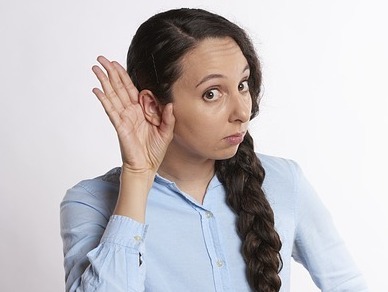 “In all four, the hearing loss was apparent on physical examination, and in the two patients tested, audiometry testing confirmed a mild, high frequency, sensorineural hearing loss,” writes Logigian. Sowula K, Skladzien J, Szaleniec J, Gawlik J. Otolaryngological symptoms in patients treated for tick-borne diseases. Otolaryngol Pol. 2018;72(1):30-34. 30 Replies to "Study finds hearing loss and tinnitus common in patients with tick-borne diseases"
Yep, that’s me. Diagnosed with Babesiosis and Lymes. Have been on antibiotics for 5 weeks last summer, and than again for almost 3 weeks earlier this year. Have to cut my hrs at work due to residual symptoms. Ringing in ears started abt 5 weeks ago. I was on intravenous ceftriaxone for 11 months and started experiencing tinnitus in my 8th or 9th month of treatment…any explanation??? I shared the latest research in my All Things Lyme blog to highlight what we don’t know. There are other antibiotics than IV. It is important to see a doctor to rule out other illnesses if that has not been done. I’ve not been diagnosed with Lyme but am sure that’s what I have. I have been living in Maine for 20 years and have been bitten at least 3 times. The ticks were engorged by the time I found them on the back of my leg and one on my back. I did not have a bulls eye rash. Went to the doctors and they put me on doxycycline for a few days. The Lyme tests always came back negative. Before moving to Maine I lived in Connecticut. I remember one summer seeing a an odd rash on my thigh. Thought nothing of it. I was sick all the time with odd headaches, neck pain, blurry vision, etc. Anyway 15 years ago I experienced vertigo, constant sinusitis, TMJ and after having what was a bad virus came down with tinnitus which has persisted for the last 15 years. It started as a hissing and has progressed to other undesirable sounds. I have sensorineural hearing loss in both ears, had tubes put in both ears, had septoplasty, have recently been tested for allergies (allergic to tree pollens, grass, ragweed, mold, dust mites, cockroaches, ). Been receiving allergy shots since last September with no improvement yet. In fact my sysmptoms have worsened. I have insomnia, odd twitches throughout my body, fatigue, anxiety, pain on top of both feet, neck and shoulder pain which started in March after I had some kind of bite on my shin that looked like maybe a spider bite. A red bump. After 2 weeks a small red circle surrounded it. I thought it was a spider bite as I remember driving one day and feeling something bite me. I always tell myself that I live in hell. The tinnitus, insomnia, twitches, odd creepy feelings that run up the back of my head,. Also I remember that at the base of my skull the muscles hurt bad and I just wanted to dig into them and that was followed by an awful headache and numbness on one side of my jaw. I am at a loss…. sometimes I feel as if I could kill myself because the doctors here are not experienced with Lyme and would tell me that I have nothing or MS or Lupus which I’m sure I don’t. I feel for everyone who has tinnitus. Dr. Cameron please help me. I am equally frustrated by how little we know on tinnitus and hearing loss in Lyme disease. I was happy to write about the findings of the most recent study. Marlene, you are describing my symptoms to a “T”. How did it turn out for you? I’m about to see a doc soon and will request a blood test. I’m positive it is Lyme having been bit on the back of my neck about 3 months ago. Didn’t think anything of it until the neck pain, which moved to shoulders and then back…then the tinnitus. I hope it worked out for you and you found some relief. Diagnosed with Menieres years before Lyme/Bartonella diagnosis. Tinnitus began decades before that! Had irretractable vertigo and “drop attacks”, which led to two procedures on rt ear to kill the balance nerve (and hearing 🙁 ). Hearing aids in both ears now. Still have loud Tinnitus. Lyme in remission after seven years of treatment! We need more research in this area. Thanks your sharing your case. yep…” bilateral meniers” and never ending roaring tinitis. I would like to see if it is realated to all the abx though. Is it the infections or the years of multiple abx that have caused it. I would love more research and to be able to participate in a trial about this. It is my most dibilitating sypmtom for sure. have stopped driving bc of hearing and balance, I could possibly handle the rest of my symptoms and still work, but this put me into disability. I want to solve it and get back to life!! I ma interested in this myself. Tinnitus started after taking large amounts of iodine, which can act like an antibiotic, it felt triggered by something, a virus. I tracked the onset in my symptoms journal i was taking at the time. I cannot sleep. I havent gone down the lyme, chronic infection route cause i have no money and from what im hearing, i want to avoid any antibiotics at all costs? For fear of intensifying the tinnitus. I feel like the two are linked, tinnitus, and chronic infection/antibiotics. I have also noted a lot of people, after taking thyroid meds, develop tinnitus. I read something about, lymies not being able to tolerate t4? Yet just litsened to a lecture about reverse t3 that makes logical sense, as i was mistakenly brainwashed into the, you gotta clear reverse t3 with t3. Yet its a sign of too much thyroid. Tried going off thyroid meds, nothing, and i mean nothing ive trie dmakes a dent in this damn ringing! You have demonstrated the difficulty finding a cause of tinnitus. My tinnitus is increasing sharply over past 6-8 months. Diagnosed with Lyme in 2010. This is the least bothersome of my symptoms though. The others are debilitating. I have had neural Lyme Disease since 1997. I was first diagnosed with MS and then was later diagnosed with Transverse Myleitus and MS dx was dropped. Symptoms partially cleared for TM over the course of 2-5 years but I still have some residual symptoms, numbness on face and forehead, sometimes on hand or tips of fingers, toes or shins. Beginning last December I began to experience, first a pop in my right ear followed by fullness and then vertigo and tinnitus with significant hearing loss. Now I have just the tinnitus and hearing loss in the mid and upper range. Could this be a symptom of the neural Lyme or is it something else? It’s pitiful that there are so many of us who cannot Avail ourselves of alternative methods of testing for lack of money. Four of 27 patients presenting with chronic neurologic Lyme disease in the 1990 New England Journal of Medicine had hearing problems. The authors did not described the outcome. I would look a second time at a tick borne illness along with your husband’s other specialists to try and find an answer. After a few months of mild vertigo, I lost almost all hearing in one ear, suddenly in 2011. Following my DX of atypical Meniere’s disease, I eventually learned I tested positive for Lyme disease (positive PCR but negative Western blot), borellia miyamotoi, anaplasmosis and chronic form of brucellosis. I have had years of multiple antibiotic and herbal treatments with LLMD’s, including IV rocephin and clindamycin. I still suffer from deafness in one ear with tinnitus in both, that is of a very different quality. I hear whooshing and low electronic sounds in my deaf ear and high pitched ringing in my good ear. Despite long term antibiotic treatment, I have many annoying symptoms that include pain and pressure in my face, teeth, jaw and sinuses. My head has many odd sensations that can be quite frightening. It often feels and sounds as though my head is a short wave radio being tuned or a pressure cooker letting steam out slowly. I just pray that my good ear will not be attacked by this awful disease. I am currently waiting for lab results for Lyme. I thought I had been tested a long time ago and found out Friday I have never been tested and live in NH and at a campground 6 months out the year. Began vertigo and other symptoms nearly 2 yrs ago and then a rear end car accident the end of 2017. Jan 2018 woke up with sensorineural hearing loss and have tinnitus and severe balance problems but also joint related issues with legs, speech difficulties, left facial and tongue numbness, knee problems periodically, night sweats last year (thought it was menopause) neck and shoulder problems since last year and have been to every kind of Doctor there is and numerous tests/MRI’s and still no proper diagnosis. I just had balance testing and results normal so the 3 diagnosis for Vestibular now ruled out, not neurological after 2 different neurologist; one at MA General in Boston. I am praying its Lyme disease just to finally have a diagnosis and a chance to get better, if its negative I have no idea what to do next. I am glad you have had such a thorough evaluation. The Lyme disease tests are not as reliable as I would like. Yu may have to use clinical judgment. Thanks for responding,. I was given the Western Blot test. If it comes out negative what would you suggest I ask my Doctor to do, I am at a loss after this test. I have no idea what type of Doctor to seek out next and my Primary care Doctor has not been helpful at all. Doctors are divided over their approach. You may have to pursue a second opinion. Call my office at 914 666 4665 to see if we can help you. You may also have to see specialists to rule out other illnesses. From my personal experience Lyme associated diseases definitely can effect hearing. I’ve been a musician and avid audiophile for many decades and spent years “training” my ears to be able to hear subtle differences. Since getting bitten by a tick, developing a bullseye rash and getting very ill I have experienced painful distortion triggered by loud high pitched sounds. I had never experienced anything like this until getting Lyme disease. After extensive treatment for Lyme and associated diseases my sensitivity to loud high pitched sound has substantially abated. I am thankful that there are SOME doctors with an understanding of how devastating Lyme and associated diseases can be. In June of 2018 I stared getting some mild tinnitus and dizziness. After runnning a marathon type race through the mountains in September I got the flu for 5 days. After that my symptoms spiraled out of control to the point of near death. I tested negative for lyme and positive for babesia. I begged a doc to treatment with antis and was hospitalized for a week. I did two weeks on ceftriaxone and am on my second month of doxy. I am also just starting a 10 day course for babeisa (pills and liquid). Many things have improved but the dizziness, head pressure, and loud non-stop tinnitus really have not have not. I’m worried it could be something else but all my tests, including a PET, have come back negative. I have had elevated ESR and CRP for months although they have come down. I also have some intermittent focal slowing in my EEG. I am a 40 year old male. Any thoughts? I am not so sure 10 days is so effective if started weeks or months after onset. The 10 day protocol for Babesia enrolled patients early in their illness. They have not yet studied the ideal length of time for Babesia. I often need to treat Babesia longer for patients who are ill longer. Two weeks of intravenous ceftriaxone was not as good as four weeks in the initially Logigian articles for neurologic Lyme disease. I have a few patients with a high ESR. The number drops as they improve. I am glad you looked into other illnesses. I found out today that I have lost all hearing I right ear. I have most of all that different ones have spoke about in blog. CAN SILVER COLLITAL or Wild oregano help. CAN hearing loss be reversed if you kill off the bugs. I commonly run into hearing loss and tinnitus in my practice. I have seen improvements with antibiotic treatment. I have not used silver or wild oregano. Dr. Thanks for input. My question is simple. How long can one be on antibiotics until its harmful or you create a resistant strand against bacteria. My concern is if I get sick from a cold and need additional antibiotics for the cold or flu. There are always risks with longer treatments. There are also risks of remaining ill without treatment. I have to weight each each of these risks with each patient. It is not clear that tick borne infections acquire resistance with antibiotics. We try not to use antibiotics needlessly for animals and humans to prevent resistant bacteria as a public health measure. Any new infection in future e.g. pneumonia is typically from someone else. Your previous antibiotics can typically be used again. My husband was treated for 18 months with various different ABX and most of the Lyme symptoms are gone. I’m afraid that the antibiotics have wiped out his gut flora and now he has SIBO ( small intestine bacterial overgrowth) (Methane dominant) and is having a devil of a time trying to deal with that. It is very difficult to get rid of… he has been on Xifaxan and neomycin. I guess that the bacteria that resides in the colon has made its way up to the small intestine and I don’t know how to fix it.